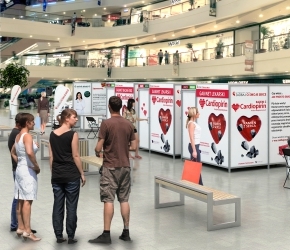 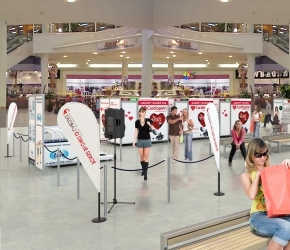 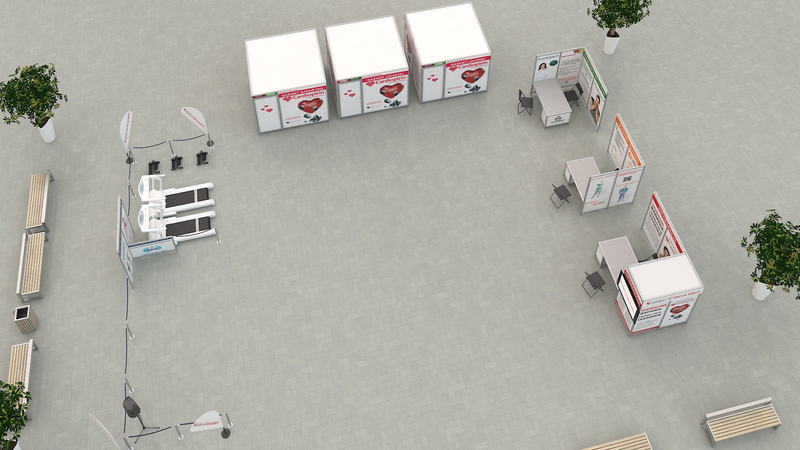 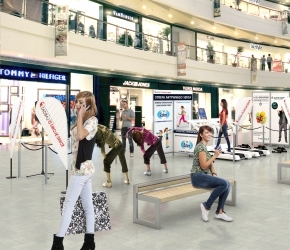 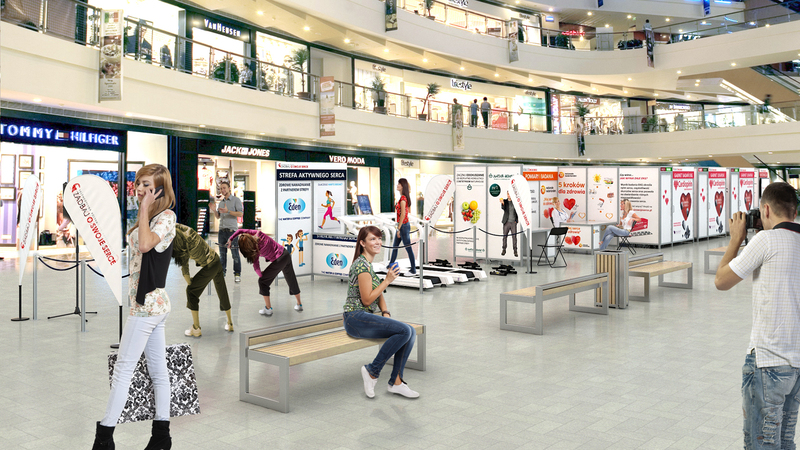 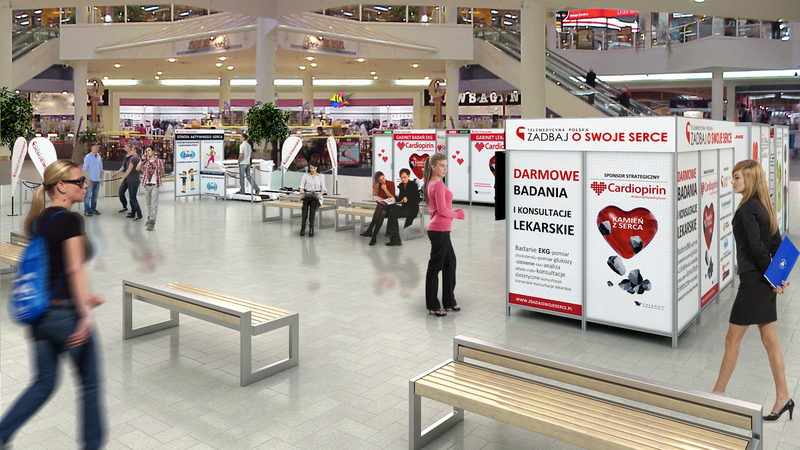 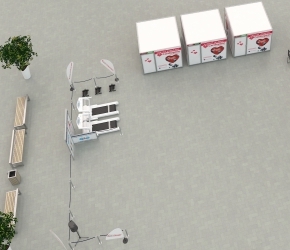 Visualizations of Telemedycyna's Inc. promotion stands. 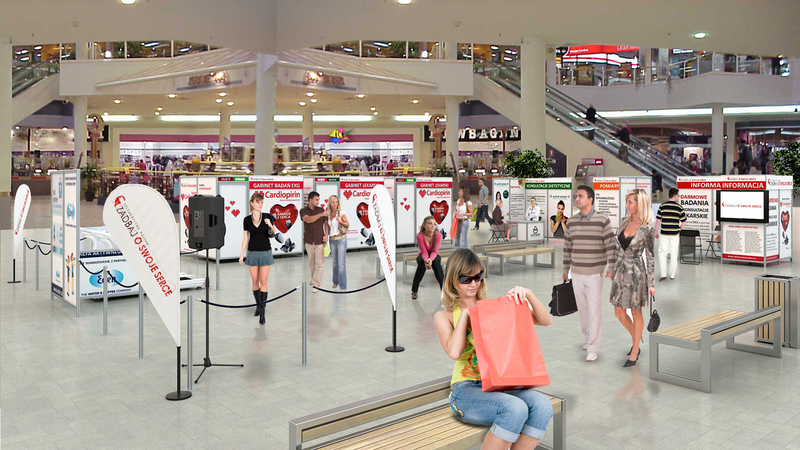 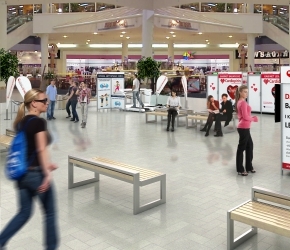 Our work was to create two options renderings of a "Medic City" located inside the shopping mall. 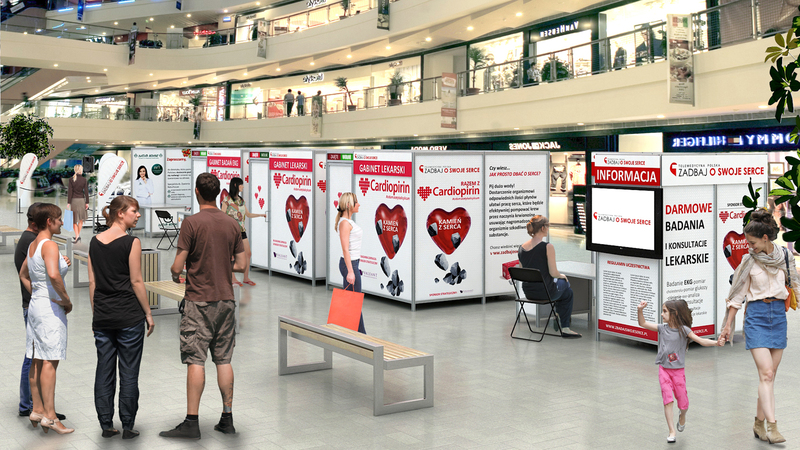 The most important thing was to show advertisements of the event sponsors.